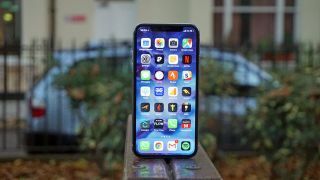 Roll up, roll up, for the finest tech news service in town, courtesy of our friends at TechRadar. Today we've got updates from the E3 gaming expo in LA, as well as news on Lenovo computers, Apple phones, Amazon Prime Day and the next Apple iPhones. The E3 video games bonanza continues in LA, and Sony has taken its turn in the limelight, announcing a slew of impressive-looking games for its PlayStation devices. We've got everything you need to know about what's new and when you can start playing these titles, including details on The Last of Us 2, Resident Evil 2, Decarine and more besides. Check out the new Lenovo Legion line of computers if you're in the market for some gaming PC hardware in the near future. You've got a choice of revamped laptops and desktops, each one capable of playing the top titles of the day at respectable frame rates, and you can follow the link below for the rundown on the specs, prices and launch dates. If you're an Amazon Prime member then you'll want to know when Amazon Prime Day is coming – the annual event where Amazon slashes prices on all kinds of items, especially for Prime subscribers. We've done some detective work and decided that Amazon Prime Day may well hit on 10 July, and the link below tells you everything you need to know. Tesla's Autopilot technology already does a good job of keeping your car on the road while your hands are off the wheel, and it's about to get even better. Tesla CEO Elon Musk has confirmed that the V9 update in August will "begin to enable full self-driving features", so it sounds like even more autonomy is on the way, as local laws and regulations permit. We're expecting to see new iPhones in September, and new schematics have leaked out on the web purportedly showing how the iPhone XI Plus and iPhone 9 are going to shape up. They come from an accessory maker, so don't take them as set in stone yet, but these designs could be in the pipeline for the most expensive and cheapest iPhones of 2018.